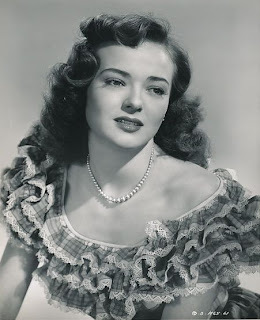 Classic Film and TV Café: Whistle Stop (1946): She was trouble for every guy who made a play for her! Whistle Stop (1946): She was trouble for every guy who made a play for her! Whistle Stop (1946). Director: Leonide Mogur. Cast: George Raft, Ava Gardner, Victor McLaglen, Tom Conway, and Jane Nigh. When Mary returns home to sell her house, her first stop is to visit Molly Veech. Mary was in love with Molly's son Kenny, a lazy bum who's stuck in a small town, indulged by his mother. Mary is disappointed to learn Kenny still spends his nights gambling and drinking. That night at dinner, Kenny becomes jealous when Mary receives roses from Lew, the owner of the town's hotel and bar, and goes into town with her when she goes to thank him. Lew is watched by Kenny and his girlfriend, Fran. Kenny and Lew's animosity results in antagonism and arguments as they compete for Mary's affections. Later, when Kenny sees the bartender in Lew's club, he suggests that he and Kenny steal the money from the local carnival earnings and then murder Lew. At first, Kenny says "no", but when Mary tells him that she is leaving town, he may decide to go through with it. The results could be deadly, but.. for who?. Even though this movie seemed clunky at times, I did enjoy Victor McLaglen's performance in the role of the bartender. 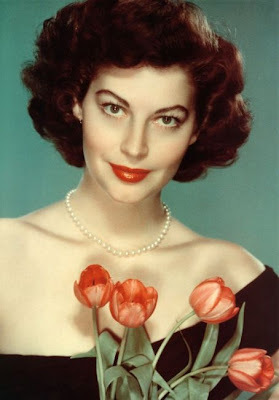 As for Ava Gardner, she is perfect for the part and she gives an excellent performance, in this "B" film. Tom Conway also does an excellent job of playing an evil and ruthless nightclub owner. This may not be George Raft's best performance, but he was fun to watch..
Click to view the movie: Whistle Stop. George Raft, was best known for his portrayals of gangsters in crime melodramas of the 1930s and 1940s. George Raft, is also known for his role in Some Like it Hot, Scarface (1932), Bolero (1934), and They Drive by Night (1940). Jane Nigh was discovered in 1944 by Arthur Wenzler while working in a defense plant. She later signed a contract with Fox studios. She performed in movies such as Give My Regards to Broadway, Sitting Pretty, Dragonwyck and Laura (uncredited). What a stunning photograph of Ava! She is the embodiment of sophisticated femininity. And I bet she was perfect in a role in that fantastic plot! 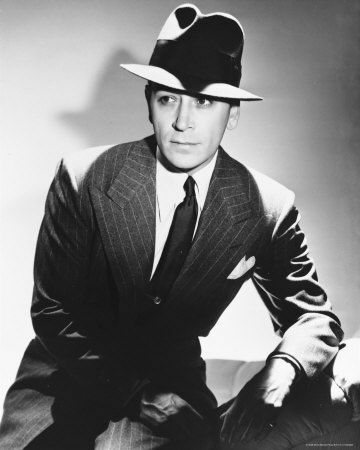 George Raft however... he is drop dead gorgeous in that photo. I have to admit that my first glimpse of George Raft in that photo reminded me all over again what a crush I had on him as a kid. What a stunning man, and I loved his acting style. I've never seen this one, Dawn, but with George in it, I'll have to watch. Dawn, I truly enjoyed your excellent review of a film I don't think I have seen. I especially like the photos you posted. The lovely picture of Ava is beautiful. It looks like her two lips mirror the colors of her tulips. Great post and I hope to see "Whistle Stop" one day! Dawn, I haven't seen this Ava Gardner movie, but I would like to now after reading your great review. The plot sounds interesting. I agree with toto2 that Ava is lovely in the photo. 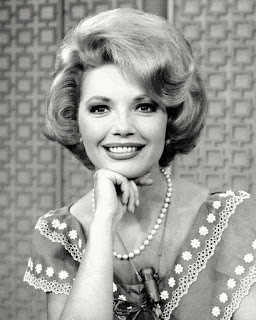 She was a great actress and I miss her. Enjoyed your review. Dawn, for someone who hasn't seen some of the "classics" you sure have seen a lot of B-pictures. Is this a hobby? :) Never seen or even heard of this, but I like Ava Gardener and I think I might try this after reading your review. Splendid review, Dawn! I'm with Kim: you sure have seen your share of B-movies. Like everyone else, I haven't seen this film, but it's a terrific selection because it's not a well known film. I can't even find much information online about it! (Wikipedia's entry is basically, "WHISTLE STOP was a film.") As always, your write-up is enjoyable and makes me want to see the movie. Thanks, Dawn (for the review... but also the pic of Ava). Ava, is absolutely beautiful in this film. 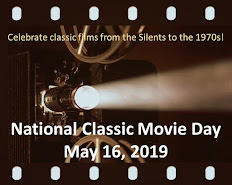 If you are a Ava fan, it is a "must see". I met Jane Nigh maybe a year or so before her death. I was 19. She walked up to my booth at a street fair where I was selling my paintings and drawings of celebrities. She was wearing a large floppy hat and dark sunglasses and pointed to a drawing of Marilyn Monroe and told me she had known her. At first I thought she was just crazy. She gave me her number and told me to give her a ring sometimes and she would tell me all about her days as an actress in Hollywood. I immediately went to the library to see if I could find out who she was since I'd never heard of her. I called her up a few days later and we made plans for me to come and visit. I was thrilled and spent most of the day with her and she couldn't have been nicer. The day that I met her at the street fair I thought I recognized the man who was with her. So when I went for the visit I asked who he was and it turned out to be Jack Gilford. Golden Girls fans might remember him as the character Max Weinstock. I remember when Jane died there was a huge beautiful portrait of her from her acting days on the front of the Bakersfield Californian newspaper. I was so sad. And regretted not getting to know her better. It was only a few years ago that when I tried searching for Jane on the internet nothing came up. But I'm happy to see that now when I google her, lots of pictures and information come up. Now I just wish they would show more of the movies she appeared in. The only one that I ever see is State Fair. Anonymous, What a wonderful day that must have been for you. I agree there is not much information on Jane Nigh acting career. Maybe you can write more about your amazing visit you had with her and share it with us. I would love to learn more about her.. I highly recommend the movies: Dragonwyck and Laura. Thank you for stopping by and visiting us here at the Cafe.